Microsoft Philanthropies asked for us to launch a strategic campaign to build awareness of Microsoft’s global efforts to solve the digital opportunity gap. 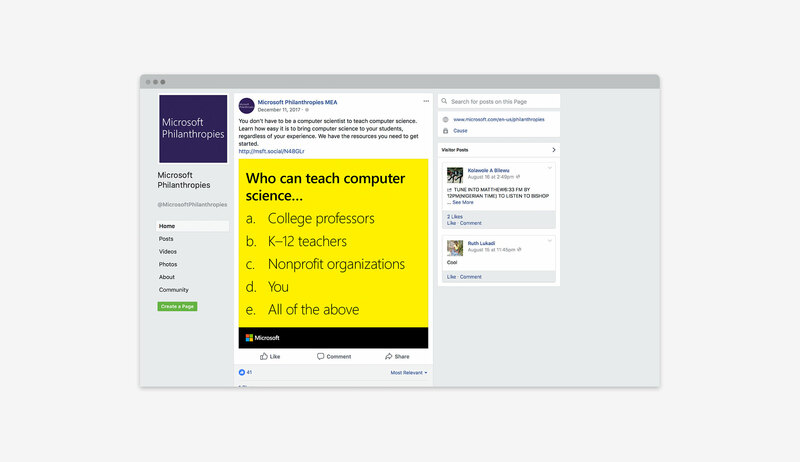 The target was influencers in the nonprofit and education sector, and the objective was to drive engagement with Microsoft’s deep resources around digital skills and computer science education. The challenge was that this sector was tired of hearing platitudes about how teaching kids to write some basic code would close the digital divide. As a thought leader, we wanted to help Microsoft demonstrate that they understand both the challenges and benefits of this new digital economy—and that they are advancing realistic solutions. Our strategy was to reframe the conversation around technology from “good vs. bad” to one of inclusion, innovation and opportunity. 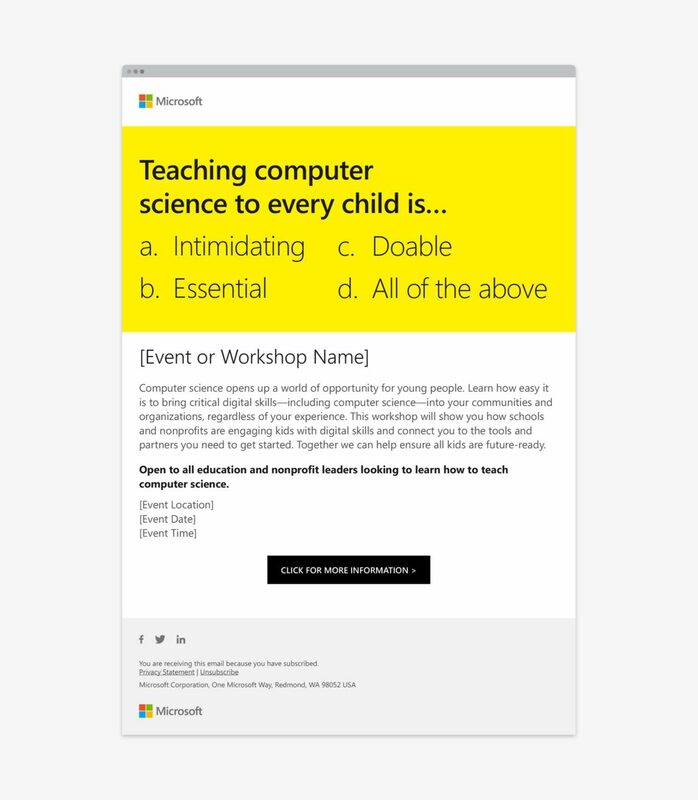 By facing the challenges head on, we positioned Microsoft as a powerful partner that was plugged into the street-level realities facing non-profits and educational organizations. For large companies, social responsibility isn’t just a good thing to do—it’s an essential part of their recruitment, growth and competitive strategies. For a tech company to acknowledge and confront the risks of technology—as well as its benefits—is refreshing… almost radical.